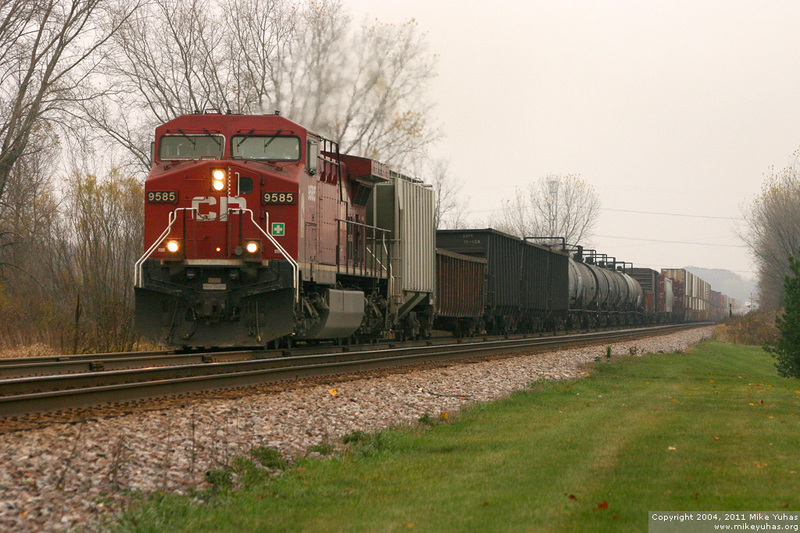 Making the grade, here is a westbound Canadian Pacific train -- led by the customary single locomotive -- in Brookfield, Wisconsin. The train contained 61 cars, with mixed merchandise (tank cars, boxcars, etc.) head out and plenty of doublestack containers bringing up the rear.